As families grow up and the little ones are not so little anymore, the space in your house may not seem adequate enough. This is sometimes the reason for people wanting to have their lofts converted. One of the most popular rooms to add is a bedroom. In this blog, we will be talking about how you can create the perfect room for your teenager in your loft space. Head height in your loft – Before any work or planning can take place, it is important that you check the head height in your loft. We will check this in our free survey of your attic space. Type of conversion – There is a wide variety of different loft conversion styles. Choosing the right conversion for your property is something we can help you with. If space is at a premium in your loft, a dormer conversion may be the best choice. The space available – Space is the main factor in the design of your loft conversion. One way to use all the extra space is to gift it to your teenager as their designated space. Storage – Your teenage years are usually when you become most fashion conscious. Teen boys and girls love fashion. They’ll need suitable storage for their clothing. We are expert carpenters and we can create bespoke shelves and other eaves storage perfect for this. Furniture – Choosing the right bed, dressers and other items of furniture is something that your teenager may like to be involved in. Electric fittings – Teenagers these days need their screen time. Having enough electrical fittings to cope with all their gadgets and screens is an important factor. You don’t want your teen to suffer from Love Island withdrawal symptoms, because of a lack of plug sockets. Here at Anglian Carpentry, we have over 40 years’ experience in the loft conversion industry between us. 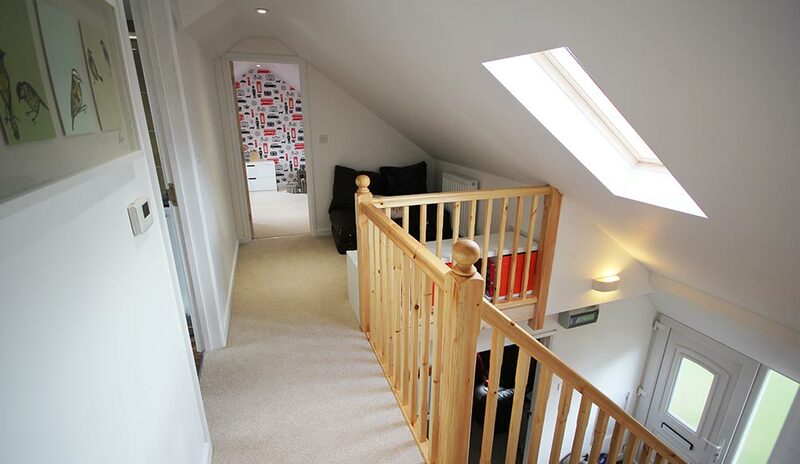 Unlike other companies, we cover every step of the loft conversion process ourselves. We can help with everything, from the designing to the decorating. We’ve even developed our own special method of accessing your loft which doesn’t intrude on you and your property, until it’s time to put in the staircase (which will be done in a single day). Need to add an extra bedroom to your house? We can help, call us on 01953 452269 or email us on enquiries@angliancarpentry.co.uk. For the latest company news and more tips and tricks, follow us on Facebook.